Hola Divas and welcome to our newest Bible Study, What Makes You Happy by Andy Stanley. Over the course of the next few weeks, we will explore the pathway to REAL happiness. We will meet live May 14, May 28, and June 11, at the Parks and Recreation Center in Kernersville at 8:30am. 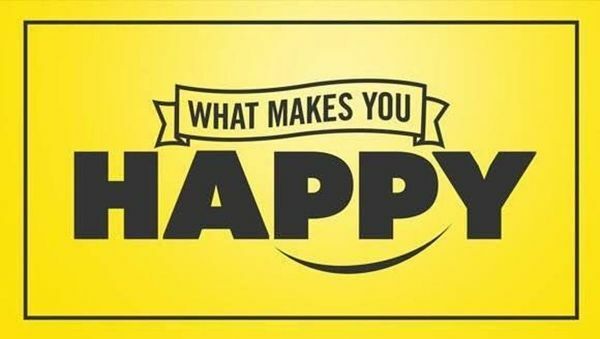 At each live session, we watch a DVD teaching from the “What Makes You Happy” series by Andy Stanley, read God’s Word and discuss what we have learned. Can’t get up that early? Don’t live close to us? Don’t worry…follow this study right here! A link to the full message from Andy will be provided at the end of each post. We all want to be happy. As Americans, happiness seems to be part of who we are. What we think will make us happy today, creates a new problem tomorrow we did not consider. The very thing we dreamed about and couldn’t wait to get two years ago is most likely sitting in a box waiting to be donated to charity. Andy called the happiness “guaranteed” by magazine articles, tv commercials, and facebook ads,…caffeine-happy because happiness from stuff wears off and then we need another “fix”. Happiness is always associated with a WHO not a what. Happy people are at peace with God, themselves and others. Peace with God paves the way to peace with ourselves and equips us to make peace with others. Jesus replied “Love the Lord your God with all your heart and with all your soul and with all your mind . This is the first and greatest commandment. And the second is like it. “And love your neighbor as yourself”. In session two, titled “Plan for It,” Andy reminded us of Jesus’ instructions on how to be happy by teaching on the beatitudes. 5 Now when Jesus saw the crowds, he went up on a mountainside and sat down. His disciples came to him, and he began to teach them. In the original Greek text, the word makarios is used instead of the word “blessed”. Makarios means happy, blessed, to be envied. At first glance, the Beatitudes don’t seem to have ANYTHING to do with happiness. But during our time together IRL (in real life), we learned they have EVERYTHING to do with happiness. Two verses that really stuck out during our discussion were Matthew 5:3 and Matthew 5:5. Two verses that really stuck out during our discussion were Matthew 5:3 and Matthew 5:5. People who are “poor in spirit”embrace their daily dependence on God regardless of what they have. People who are poor in spirit recognize that everything is NOT up to them. Meekness is a proper estimation or valuation of oneself within the broader context of God’s creation and love.